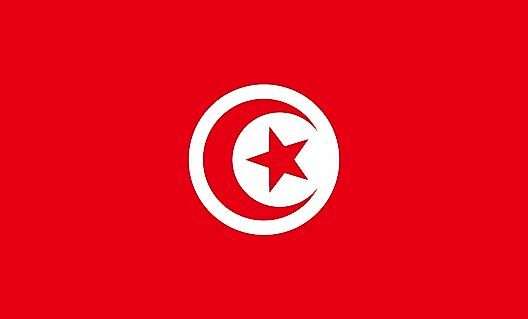 The flag of Tunisia was officially adopted in 1835. 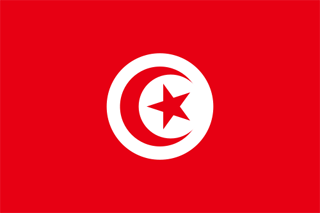 It features the crescent and star of Islam on a field of red - a color taken from the ancient flag of Turkey. 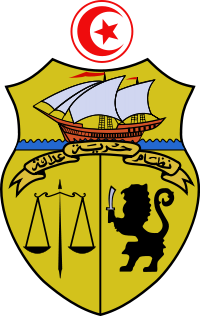 The Tunisian coat of arms is composed of a shield which features a ship, a lion holding a sword and a scale. The ship is representative of freedom, the lion for order, and the scale symbolizes justice.